What impact do free sulphites have on my body? Sulphur Dioxide may cause allergic like reactions in all types of people. Often people will say “I just cant handle wine the same as I used to”. Sulphites are a preservative designed to lock oxygen out of the wine to keep it in a pristine condition. For some people the problem begins when they consume sulphites and they have an inability to process sulphites effectively. The body’s natural defence system combats these sulphites in a variety of ways, one of which is to release histamines and, as in most allergic reactions, it is the histamines that can cause allergy-like symptoms – not the sulphites themselves. 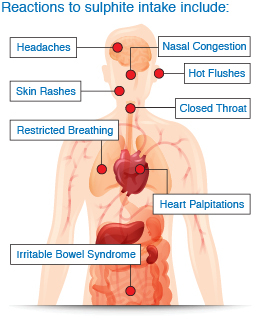 Symptoms of sulphite ingestion can vary dramatically from person to person, although the most common is headaches, hot flushes, rashes, sickness and irritable bowel syndrome (IBS). More acute symptoms are tightening of the skin, the restriction of breathing and closing of the throat and lungs. People who suffer from asthma are more susceptible to allergic reactions due to sulphites in wine. Is it possible to remove ‘free’ sulphite from my wine? 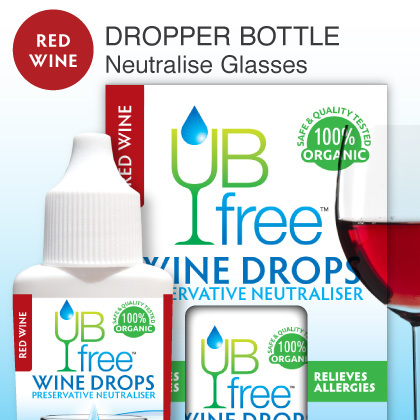 The good news is UBfree Ltd have developed a scientifically-tested formula to reduce sulphites in red and white wines. 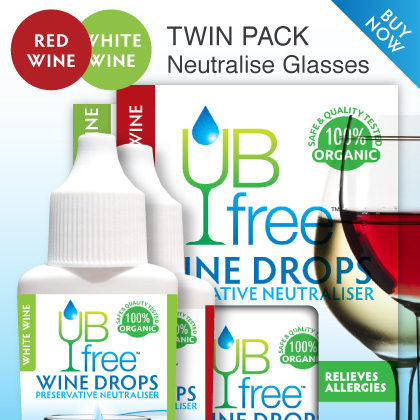 With independent tests in world-class laboratories we have concluded that UBfree removes the free sulphites in wine. 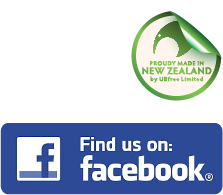 Because UBfree has lowered the sulphite/preservative level in the wine, the wine is no longer ‘preserved’. As such, our recommendation is to consume a neutralised bottle within 12 hours. At point of consumption UBfree enhances younger wines and sulphite-strong wines by giving them a ‘rounded’ ‘brighter’ ‘smoother’ and more pleasurable palate. Sulphites naturally occur during the winemaking process, particularly as a by-product of yeast fermentation. Sulphites are also introduced by winemakers once fermentation is complete to inhibit the wine from oxidising, or in plain terms “going off”. Sulphur Dioxide is a preservative widely used due to its antioxidant and antibacterial properties. Preservatives are responsible for many foods being able to be stored for extended periods. Some people however can develop an intolerance to preservatives as their bodies can no longer process the chemicals. As a result ‘allergic-like reaction symptoms’ may occur. Why are Sulphites in my wine? All wines contain naturally-occuring sulphites, but did you know that most winemakers add extra sulphur during the winemaking process? This is because wine is perishable, it is prone to developing a bitter taste and “off odours” this is due to oxidation and the development of aldehyde. 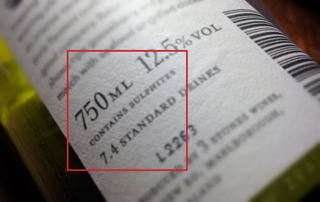 Sulphur Dioxide (SO2) is added as it plays an important role in maintaining a wines balance. Wines without sulphites will generally have a shorter shelf life (about 3–6 months), in addition to this they need to be kept in perfect storage conditions. 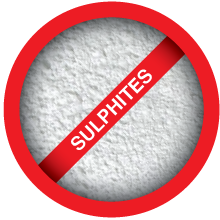 The down side to the extra-added ‘free’ sulphites is that due to its antioxidant and antibacterial properties they can behave in an aggressive way. Part of it’s purpose is to seek out and react with oxygen molecules in the wine before the oxygen can ‘oxidise’ the wine and ruin it. Younger (low cost) white wines contain more sulphites than more mature (expensive) and red wines. As you release the cap or cork on a bottle of wine you no longer need the sulphites present as they have served their purpose to get the wine to you in that condition. *In the 1970’s reports started emerging that associated exposure of sulphites with adverse reactions. These included triggering anaphylactic reactions as well as a wide range of other symptoms, such as dermatitis, uticaria, flushing, hypotension, abdominal pain and diarrhea. Most reports describe the triggering of broncho-constriction in asthmatic patients.